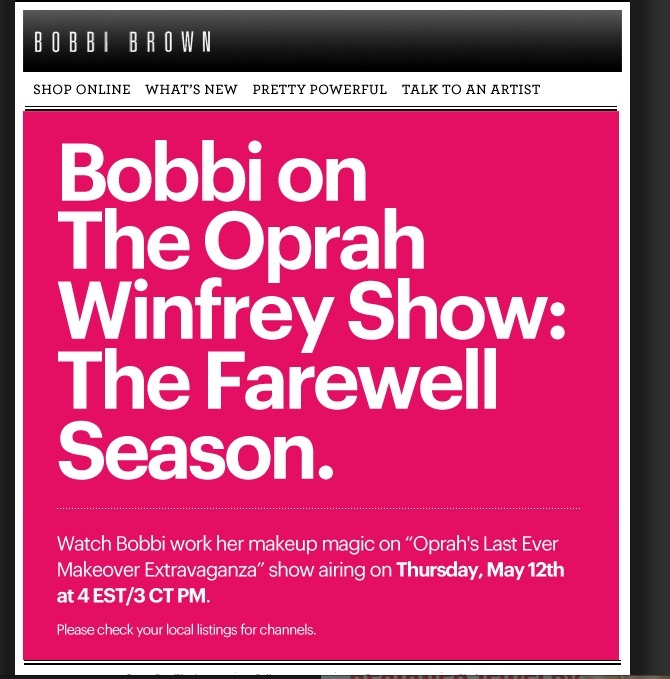 According to an email sent out this morning, Bobbi will be on Oprah today for her last makeover show. It billed as a Makeover Extravaganza. I can’t wait to see what’s in store. 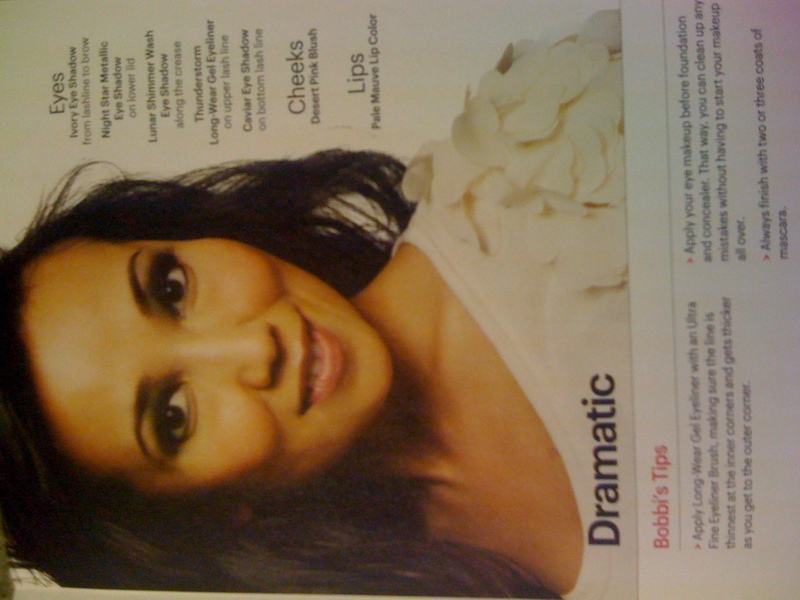 Bobbi will be on QVC tonight from 7-8 p.m. The site has been updated with Bobbi’s holiday offerings including palettes and selections from the Choose Your Glam holiday collection. Even better yet several of these items are on Easy-Pay!!! 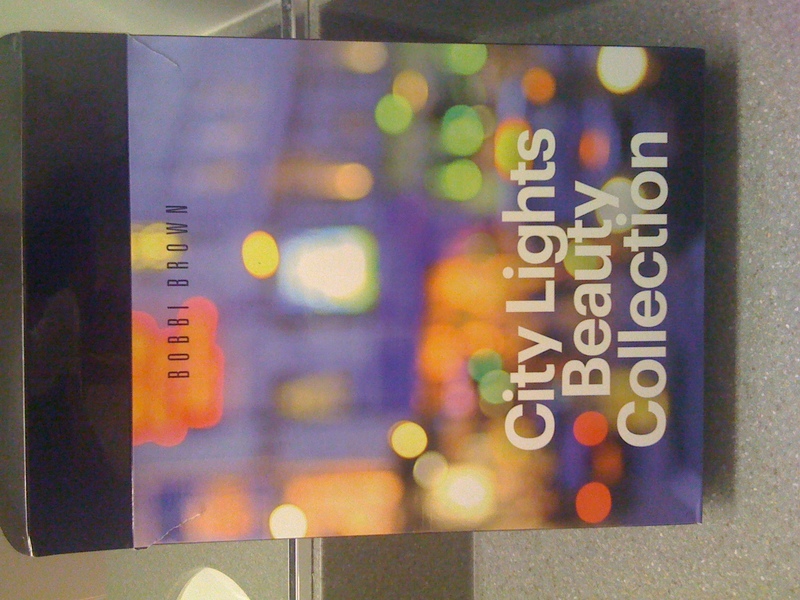 Bobbi Brown City Lights Beauty Collection-available for three Easy Payments–note the information for that collection in the description is incorrect. See my previous post for info on that collection. To see all the other items on Easy Pay click here. They are only available until midnight. 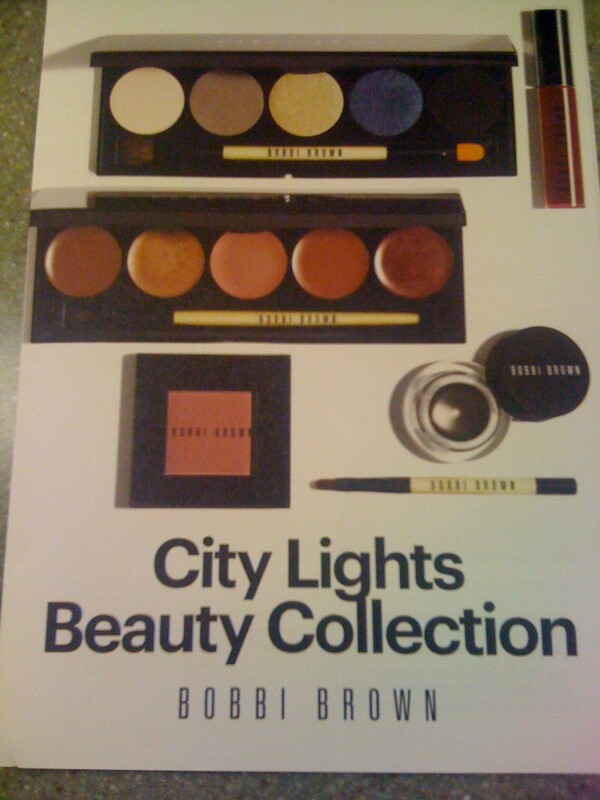 Additionally the Downtown Collection featured in May is back on Easy-Pay and the City Lights Collection is as well. The City Lights Collection was until today only available as part of the auto-delivery option with the Downtown Collection in May. So today I spotted the holiday collection at Nordstrom, not the gift collection. So the theme is “Choose your glam” and centers around red lip color including glosses, liner and lipsticks and eye palettes and glitter eye liner. The eye palettes include the smoky, sultry and smoldering palettes mentioned in my previous post. I swatched the eye paints and I really those shades, they are really intensely pigmented, sparkly yet not sheer like the sparkly eyeshadow or not quite shimmery like the metallics. KarlaSugar has the goods with swatches and photos of the counter display. 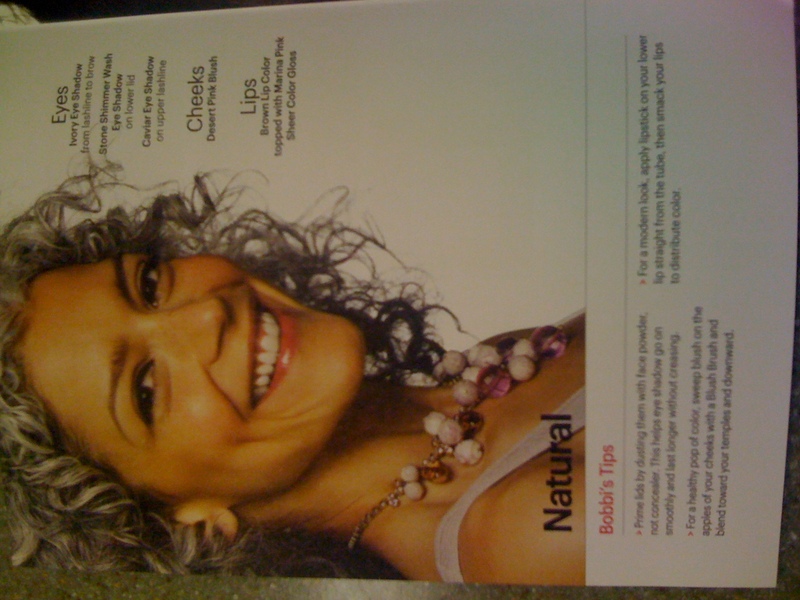 Part Two of the QVC exclusive Bobbi Collection arrived at home Tuesday. It is part of the QVC auto-delivery that was advertised on National Makeover Day. Click here to see previous post. 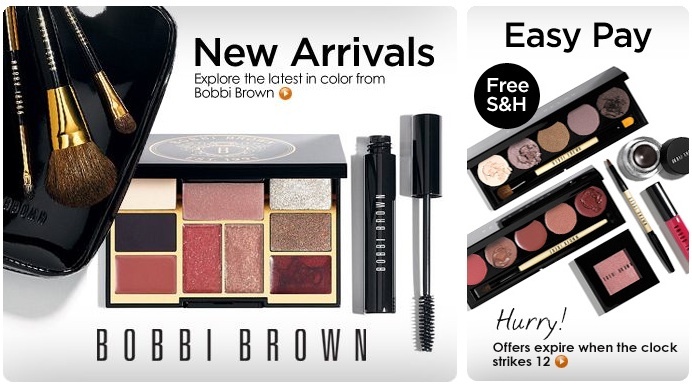 Basically you ordered the Downtown collection in May and then received a second collection in October, both collections were offered on easy pay. Its the same format as the Downtown Collection; eye palette, lip palette, lip gloss, gel eye liner, blush, eye liner brush and tip card. Eye palette same composition: two flat shades, two shimmer and one metallic. 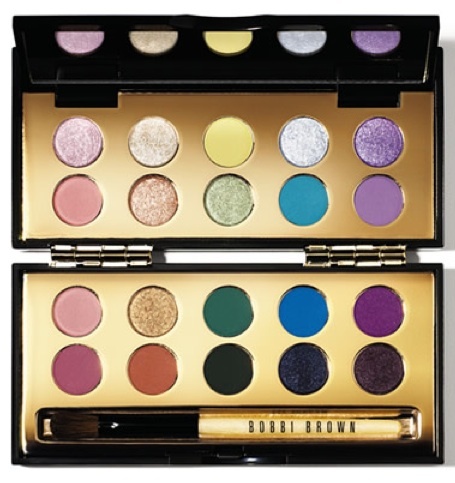 Holiday 2010 is upon us already including the internet rumored Mini Bobbi Brights Eye Palette, which is available on bobbibrowncosmetics.com. This is a mini version of the Bobbi Brights Eye Palette (my all time favorite eye palette), it has only 20 shades compared to the 35 in the original. Several of the shades are very gemstone-like. 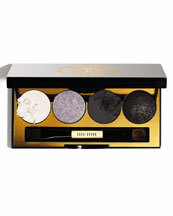 This palette is part of the very glam and luxurious holiday 2010 collection. Check out the other holiday offerings at Nordstroms.com. They include a travel case, eye palettes, a lip gloss trio and lip palettes. 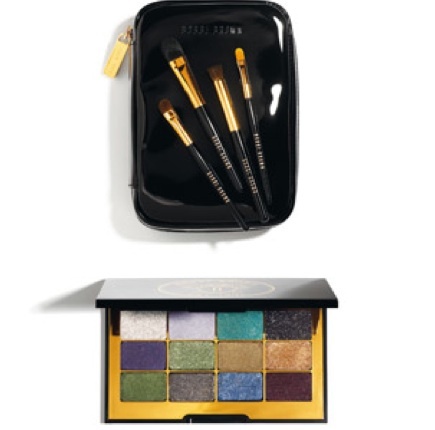 Some retailer exclusive items include brush sets and the Neiman Marcus trunk (my annual fantasy item). Even QVC has the Sparkle Glamour Quad. Also check out HelloBeauty for a full rundown on the items that are available at Nordstrom. Update: The Muse has a review of the Crystal Eye Palette, with swatches and pictures click here. 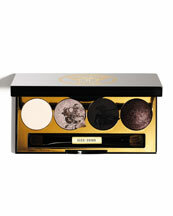 What I am really lusting over are the holiday palettes on the bobbi UK site. Every season there is something that is only available in the UK that makes me drool. I was happy to find that many of those items on the UK site are available at Neiman Marcus, including the Eye Couture Palette with brushes and the Modern Classic Eye and Lip Set. 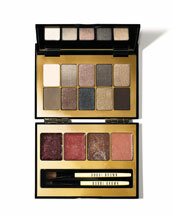 Additionally Neiman’s has 3 other eye palettes that no one else has, based upon themes: Sultry, Smokey and Smoldering. 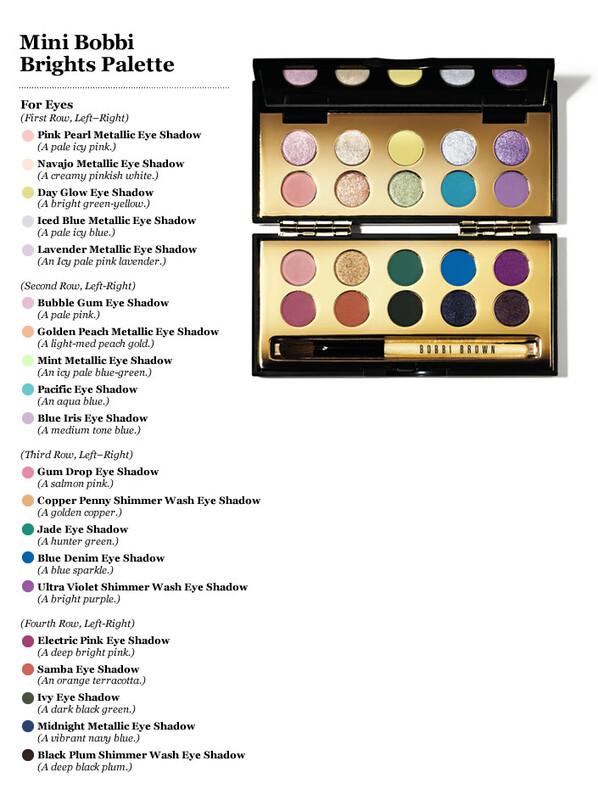 This new eye palettes include a new items, “long wear eye paints”. All of the shades with the exceptions of the “eye paints” we have seen before. 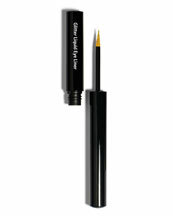 Additionally, there is a glitter eye liner pen that is exclusive to Neimans also. See photos below for photos of exclusive items. What’s new? a lot for paletteholics! I’ll post and update with a list of all the shades soon. Hey Bobbi fans, support your Shimmer Brick addiction and support breast cancer awareness. This limited edition pink Shimmer Brick is available now at bobbibrowncosmetics.com. 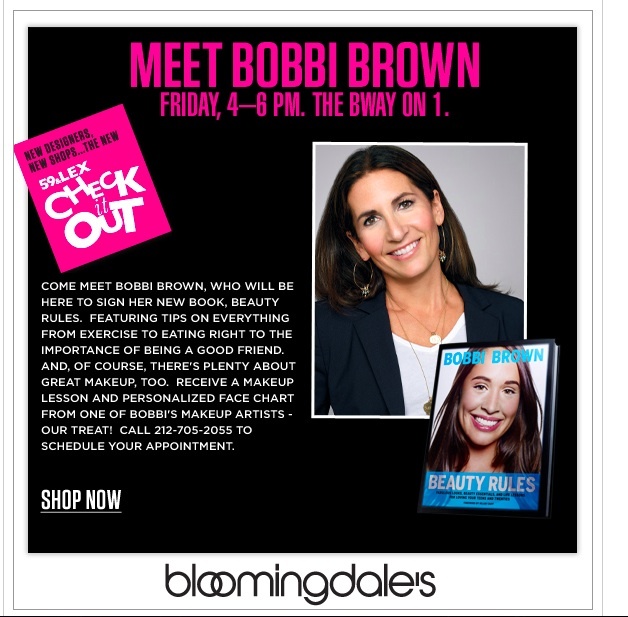 Bobbi will be at Bloomingdales on Friday from 4-6 at 59th Street and Lexington in NYC to promote her book Beauty Rules.